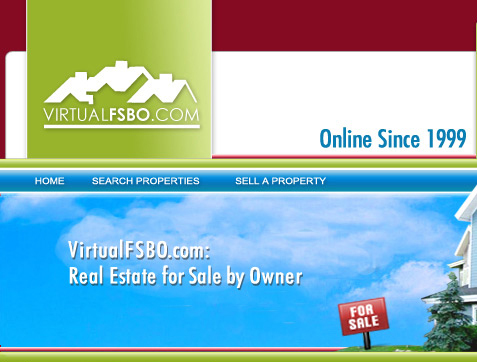 Since 1999, Virtual FSBO has been providing home owners throughout the country a way to sell their real estate "For Sale By Owner" while avoiding the sometimes costly commissions that are charged by many brokers. As the real estate industry has changed over the last couple of years, we've found that the days of 5%+ listing commissions is simply not the future of the industry and homeowners are seeing this as well. At Virtual FSBO, we strive to bring you the most efficient and easy-to-use home for sale by owner (FSBO) listing service on the World Wide Web by making the selling and buying of your home a little easier and less costly. With our advanced map technology, full-page listings, and years of Internet marketing, we have become one of the major "for sale by owner" websites on the Internet with thousands of active listings throughout the world. Our goal is to make listing a home for sale by owner a much better experience for the seller in addition to providing unparalleled exposure on the Internet within their local and nationwide markets. Ultimately, the result is that your home sells faster and the seller nets more from the sale because there's no need to pay a 5%-7% listing commission. At the same time, we make it easier for the buyer to view homes for sale in their area (and nationwide) without leaving their home. It's a win-win situation for both Buyers and Sellers! 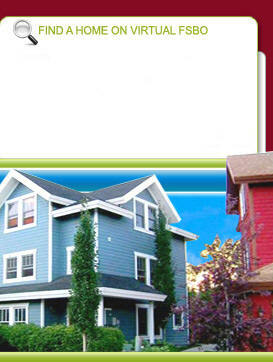 One thing is for sure............the old traditional ways of buying and selling Real Estate have changed. More than 80% of buyers now start their search for a new home on the Internet and more sellers are starting to see that they need to have more exposure on the Internet than the local MLS will provide. That is why Virtual FSBO is here............this is the future of selling real estate.